Although the CMS reimburses clinicians for advance care planning during Medicare patients' yearly wellness visits, the agency has yet to encourage patients to set up these plans. It shows: Two-thirds of American adults do not have advance directives to guide their healthcare if they become unable to communicate. The CMS currently advocates a low-tech, hands-off approach to advance care directives, advising people via its website to keep copies of the directives "where you can easily find them"; give copies to healthcare providers, proxies, and family and friends; and to carry a note "in your wallet" saying you have an advance directive. But even if a person has an advance directive, it may be hard to use. "The current dynamic is somebody might have a form that's on their refrigerator, and if an EMT happens to see it and grab it, then great," said Sharon Pearce, vice president of policy for the National Hospice and Palliative Care Organization. "What's worse than not having a directive at all is having it and it not being followed" if no one sees it. Some lawmakers and organizations are looking for new ways to encourage people to create advance directives and know about them in the first place. "Far too many patients aren't having these conversations and aren't documenting their end-of-life care wishes," Pearce said. The CMS for its part added two new codes to its physician fee schedule so physicians, physician assistants and nurse practitioners are reimbursed for having discussions about advance care planning with patients. Sens. Bill Cassidy (R-La. ), John Barrasso (R-Wyo.) and Michael Bennet (D-Colo.) want the CMS to do more. Their legislation, the Medicare Choices Empowerment and Protection Act that was reintroduced in July, would have the CMS pay Medicare beneficiaries $75 for writing and registering digital advance directives. Accredited vendors certified by the CMS would maintain the directives online where beneficiaries' doctors can access them, and the CMS would have on file which organization hosts which beneficiaries' information. The legislation's push for digital versions of the directives makes sense, given the move toward complete electronic health record adoption and patient safety concerns, Pearce said. While most directives are downloadable, coming from both government and private companies, many are not actually stored online. All states provide advance care directives (and maintain their own laws regarding them), but only a handful administer their own registries for the directives, and most of these registries allow filing only via mail. Private options for maintaining digital copies of directives include companies like ADVault, which contracts with private insurers, providers and others to offer a directive that's legal in all states. Still, there is no national registry and no government-issue, standardized directive form—nor would this bill establish either. "There is very good intention in the proposal, but as with many things, the devil is in the details," said Kelly McCutcheon Adams, senior director at the Institute for Healthcare Improvement. "How would this work? How would the national Medicare system handle this state by state, where different documents count as being advance directives?" Some organizations hope the Office of the National Coordinator for Health Information Technology, the CMS and the National Institute of Standards and Technology will set standards for advance directives. The agencies should " develop regulation, mandate the use of standards on directives, and train the workforce involved in data capture, management, and the release of information," said Anna Orlova, senior director of standards at the American Health Information Management Association. "These organizations need a push not so much from Congress but from professional associations." The American Hospital Association, hospitals themselves, the American Bar Association and others offer advice and toolkits for creating advance care directives. 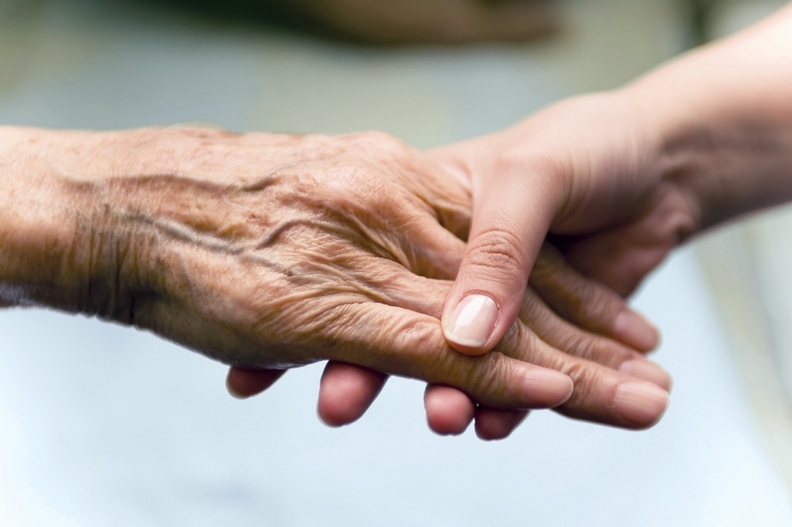 One organization, the Conversation Project, is entirely dedicated to advance directives. The project, in partnership with the Institute for Healthcare Improvement, encourages people to have end-of-life-planning conversations long before they're in the hospital. "It doesn't matter if the widget is electronic or paper," said Harriet Warshaw, executive director of the Conversation Project, "you still have to have that conversation." The CMS could encourage the conversation, by including tools for advance directives in a Medicare welcome kit, according to Warshaw. "If something could be put right into that, that would be extraordinary," she said. The agency might also make documentation of a healthcare proxy (a type of advance directive) in each patient's EHR a quality standard, Warshaw said. "Just how you're tracking an allergy medication, you should be able to track what people want at the end of their lives."